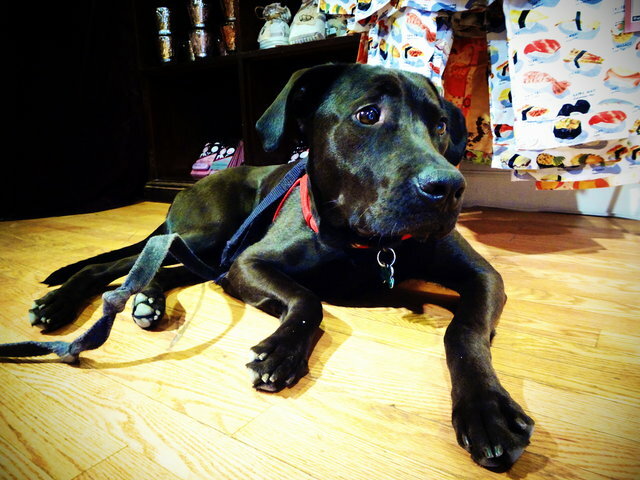 Many people are lucky to have pets, but not everyone is lucky enough to be able to bring their pets to work with them! 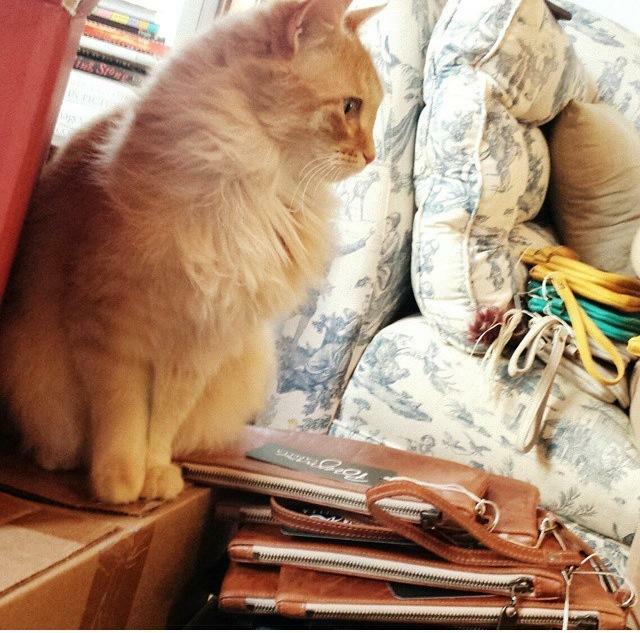 Here at the Brynn Capella office we have two lovely cats that keep us company and many of the boutiques that sell our bags have shop pets too! Over the years, we’ve had the joy of getting to know some and wanted to introduce them. 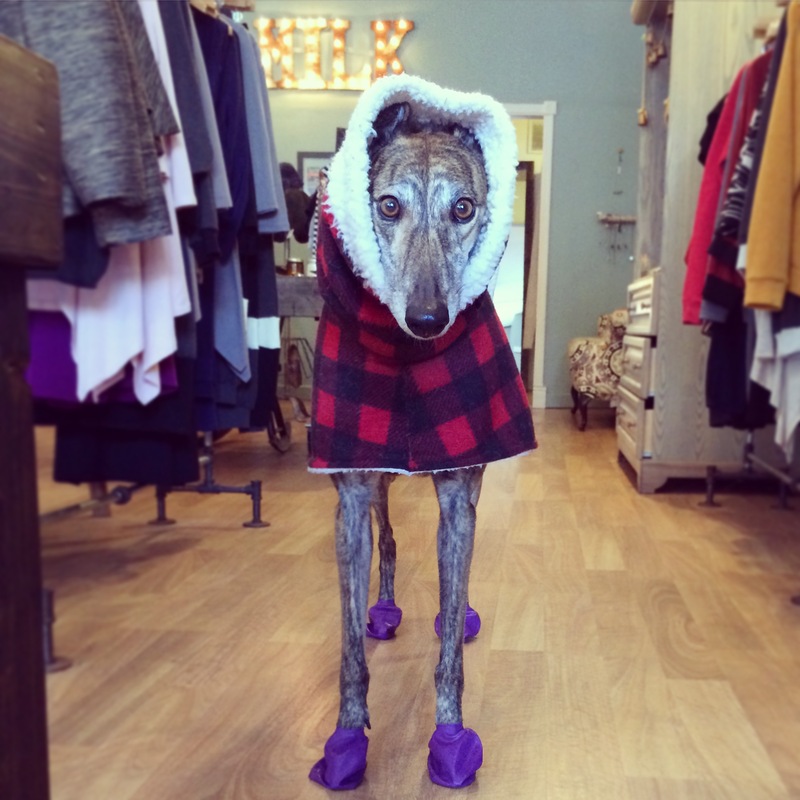 The first shop pet on our list is Sauvie, a 7 year old Greyhound who resides in Milk Handmade. I got to meet her in person once and she wanted nothing but love! This sweetie pie greeted me right when I walked in the door and alternated between laying on the couch and begging for more pets for the remainder of my visit. 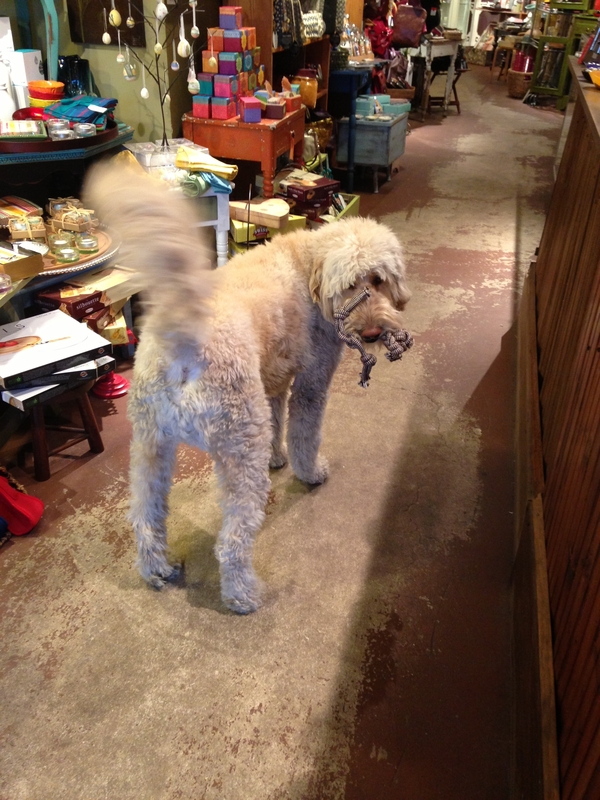 Henry, a 5 year old Goldendoodle, grew up in his store, Fixture. 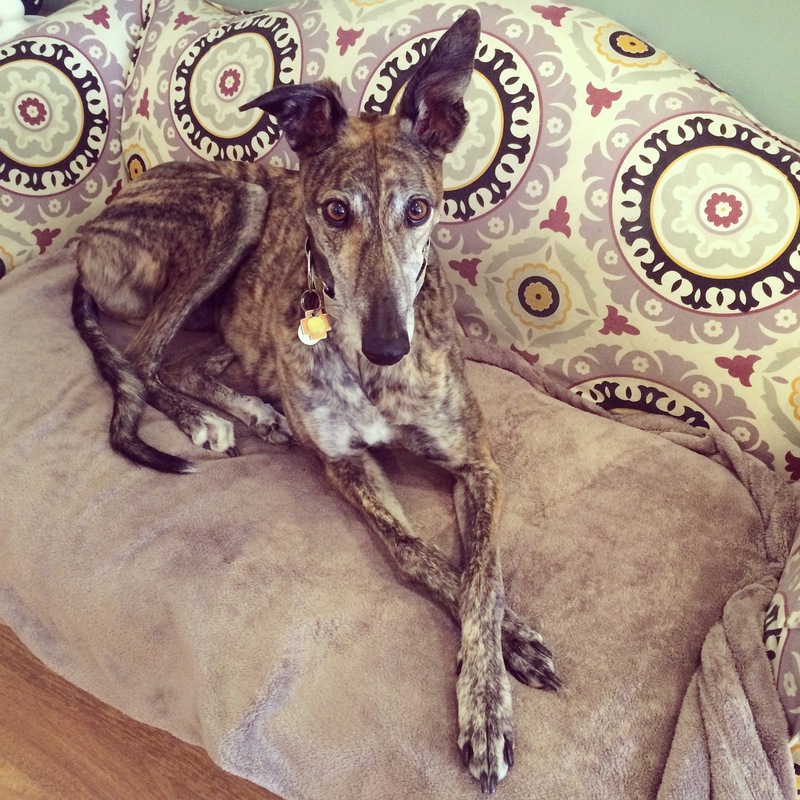 I have not had the pleasure of meeting Henry yet, but have heard nothing but great things of this cutie. 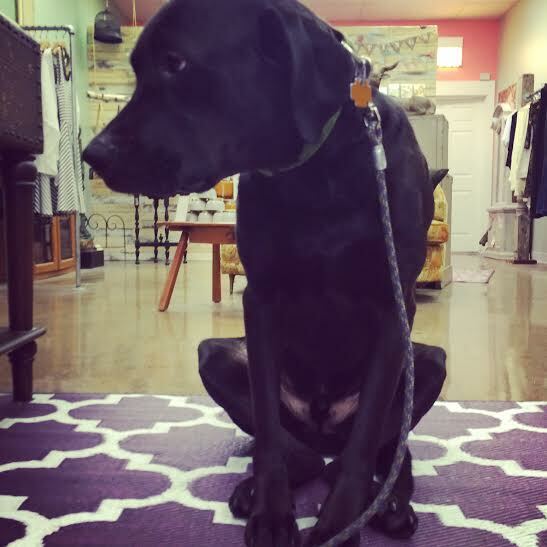 Harley is a black lab mix who was rescued by the owner of Comfort Me. I haven’t gotten to meet darling Harley yet either but I can’t wait to meet him and look at those big sweet eyes. 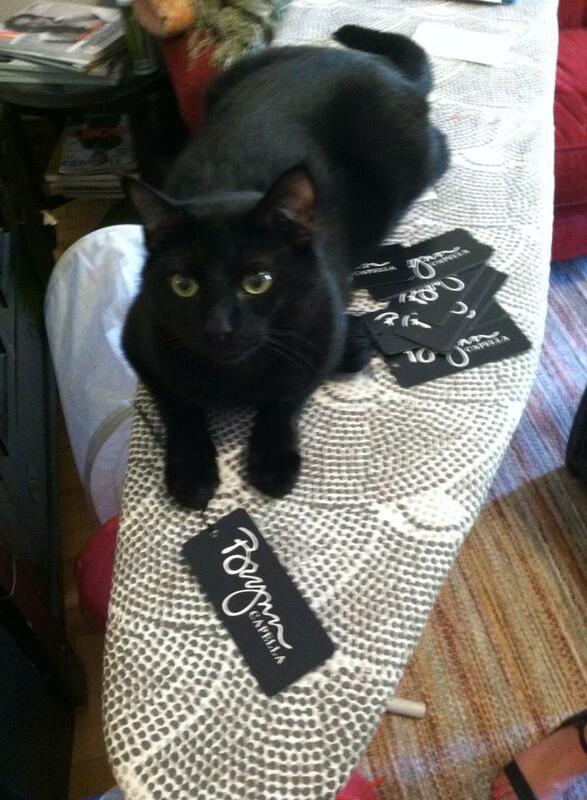 Lucky and Cali, 2 and 5 respectively, are the two mischievous cats at the Brynn Capella office. They love being a part of the action and are always around “supervising” what is going on. Lucky loves vying for attention against computers and emails, and Cali is always finding the newest box to sit in, even if we are trying to pack up an order. 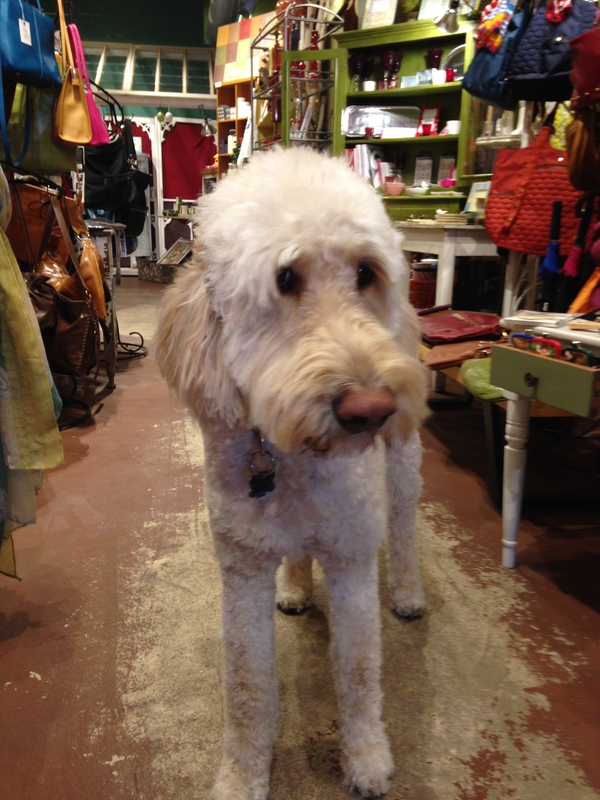 Tags: Brynn Capella Handbags, Chicago, Comfort Me, Fixture, Milk Handmade, Pets, Shop pets, shopping. Bookmark the permalink.